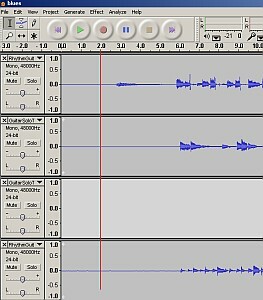 After restarting Audacity you are now ready to do recording. 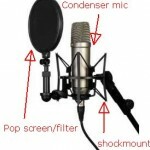 The objective is to ensure you have correctly setup and configured Audacity to work with your audio interface. Step1.) 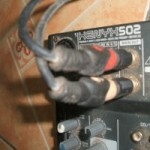 Make sure your audio interface is on and connected to your PC. Step2.) Connect one musical instrument to your audio interface preamp inputs (e.g. acoustic guitar). Switch the gain to moderate (30% to 50% of maximum gain). If your audio interface includes instrument level detection, switch it on or use it. Step3.) 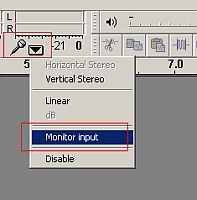 In Audacity, enable monitor input (see screenshot below). 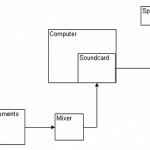 This will let Audacity detects any input signal from your audio interface. Now try to play your music instrument and see if the level meters moved. In some system, it can take some time for the input signal to be detected, so keep playing. Once the level meters are moving, you are now ready to record. Take note that track#3 did not start at zero time. 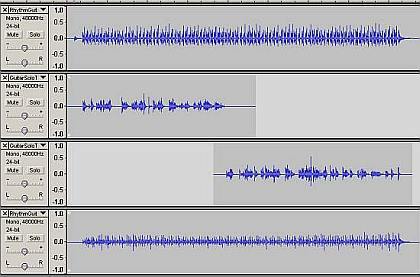 This is normal because you might want to record at a later section of your tracks (such as overdubbing guitars). 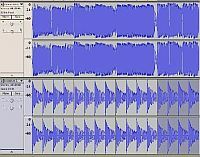 After you have finished recording your first track, simply hit the recording button again to start the second track. 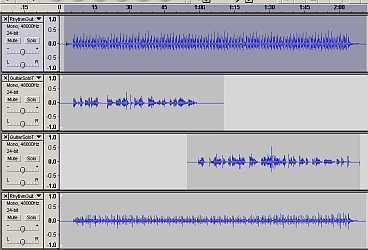 Also bear in mind that the above tracks are all recorded in 24-bits/48KHz mono as configured earlier. Step2.) Start exporting the first track. Zoom into the 2 second area and make sure the cursor is pointing EXACTLY at 2 seconds. 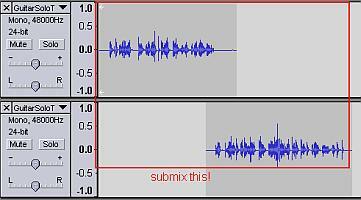 You will confirm this in the cursor selection at the bottom of Audacity. See below for the sample start time at exact 2 seconds. Then the cursor is at 2 seconds, select/highlight the first track waveform until the very end. This is the screenshot of the highlighting/selection process. Take note only the first track has been highlighted. Step3.) You will now export track#1 by going to File – “Export Selection as WAV”. Decide where you will be saving the WAV files. It will be exported as 24-bit/48KHz, the same as the recording bit depth/sample rate. Step4.) After exporting the first track, repeat the above procedure for second to the last track, keeping in mind that the starting time should always be in 2 seconds so that all recordings would be synchronized in multi-track when exported for audio mixing. After selection, it will turn to darker color. 2.) 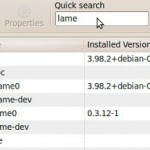 After it was selected, go to Edit – Copy. 3.) 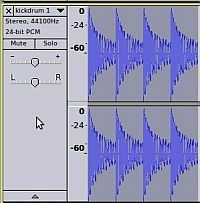 Edit – Move to Cursor – to Track End. 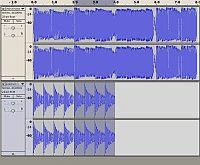 You have just completed importing and arranging the tracks in the Audacity multi-track. To save a multi-track project: Go to File – Save Project → when you see the warning, just click OK. You can save the project to your desktop. Name the project as “audacitymixingtutorial.aup” and finally click “Save”. Note: You might see a warning such as “Project depends on other audio files”. Click “Copy All Audio into Project (Safer)”. How to make your own “unplugged” vocal-acoustic guitar demo at home?